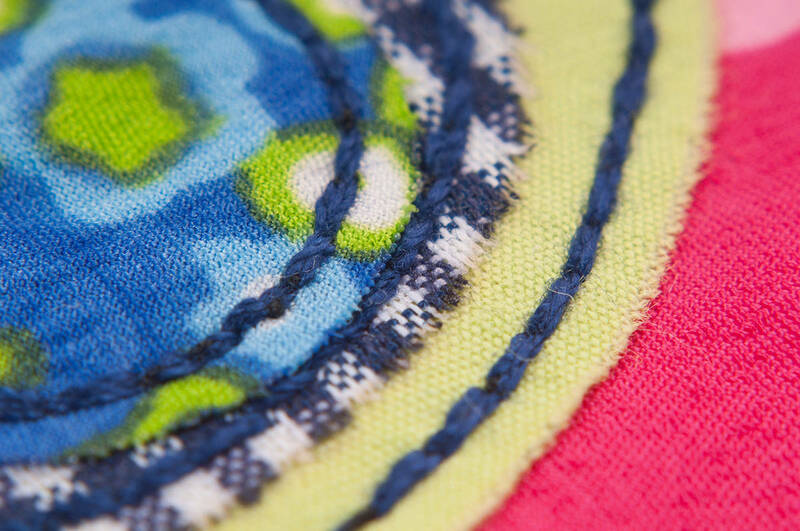 The applique embroidery is a technique which involves using pieces of fabrics, sewn during embroidering (and cut by laser technique), add texture and color to the design. It is used both for aesthetic reasons and for the significant savings of stitches is achieved, since color is added surfaces without coating them of embroidery stitches. Although it is currently applicable in all kinds of embroidery, is very common use in baby and children 's issues. Whatever the scope, varying results are achieved simply by changing the fabric used for the applique. 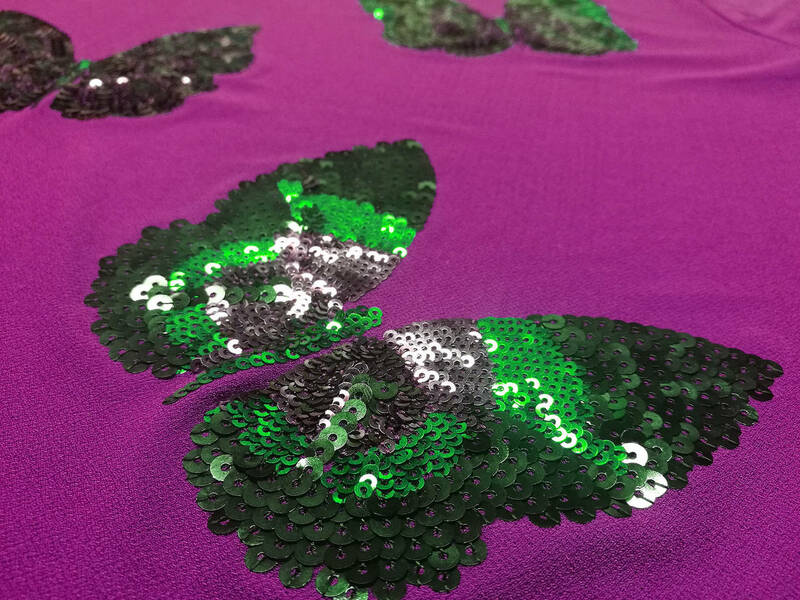 Bright sequins are small plates, usually lentil - shaped or circular, used for decorative purposes. They are available in a wide variety of colors and sizes, and also with other geometric shapes, such as square or stellate. 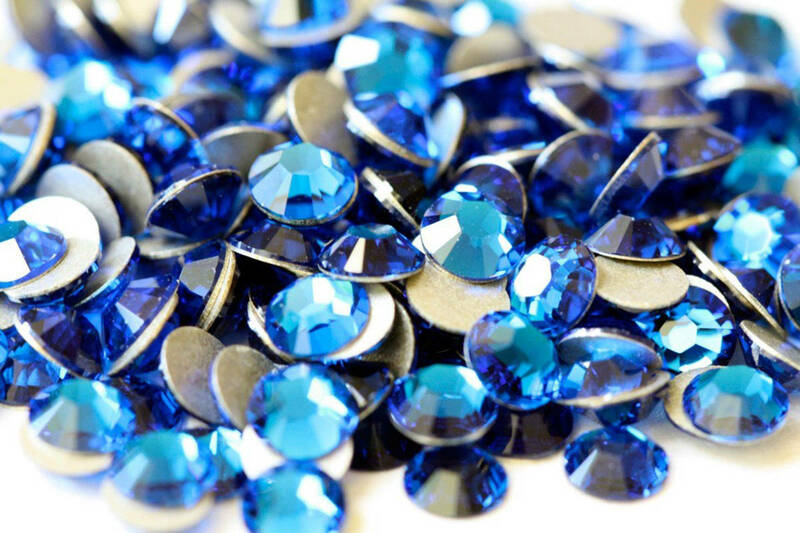 Commonly sequins are used in the decoration of clothing, jewelry, handbags and other accessories. In some cases stitched down the middle, but others are stitched above, so that they hang and move easily to catch and reflect better the light. Quintessential great importance for its filling capacity. Moss embroidery is a variation of chain stitch embroidery with a terry towel similar to but more regular appearance. 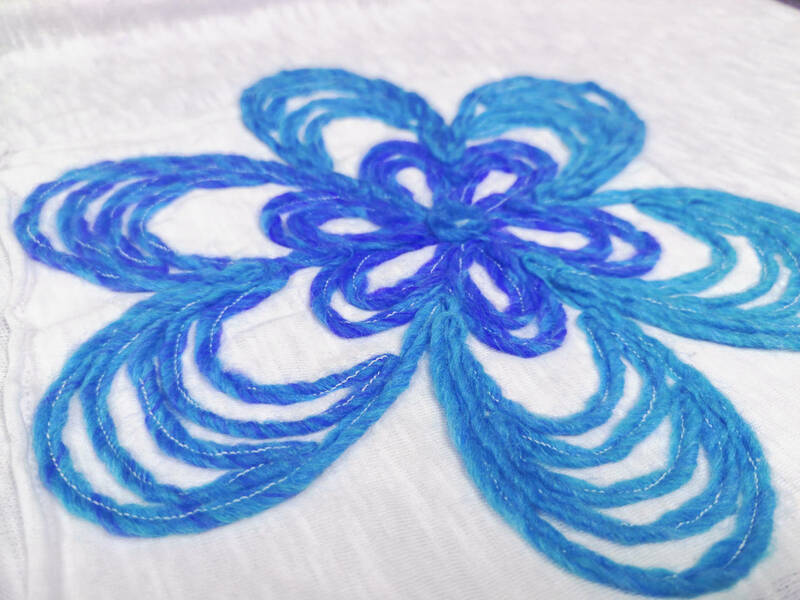 Although the appearance differs from the chain stitch is performed by the same machine, with similar techniques and limitations. Its most common applications are the children embroidery. It is a kind of consecutive rings and form a voluminous stitch without tension. It is used in many products: tablecloths, towels, souvenirs and even making garments. Rockrose beads are a kind of very small trinket, usually round and made of glass or plastic. During the embroidery are sewn by the thread that is going through each one of them following the route that has programmed the design. They are available in various colors and can be mixed during embroidery in order to achieve a different result each time. 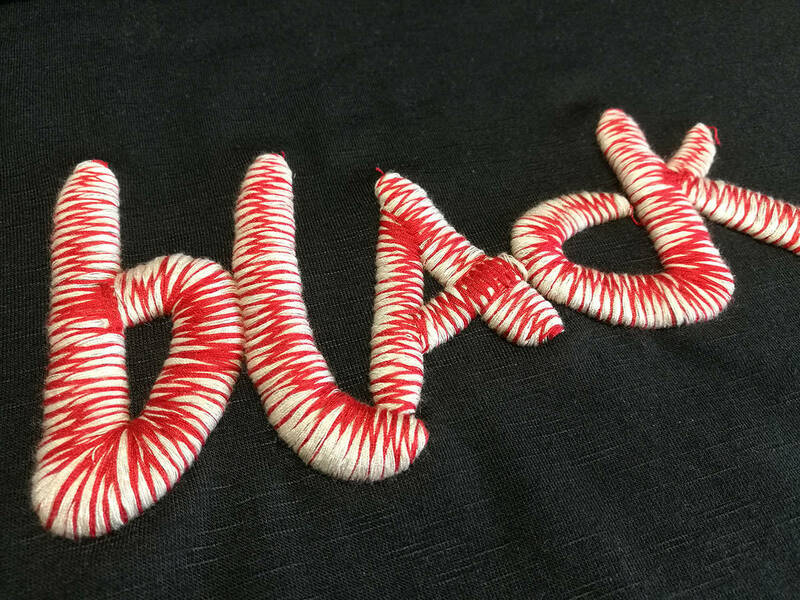 They can be sewn on almost all available fabrics. It consists of sewn-added material in tape or string format, on the base fabric. It is placed by a special machine that performs a movement needle particular where added cord is held by the stitches. We have a variety of cords, chains and tapes to satisfy the tastes and demands of our customers. 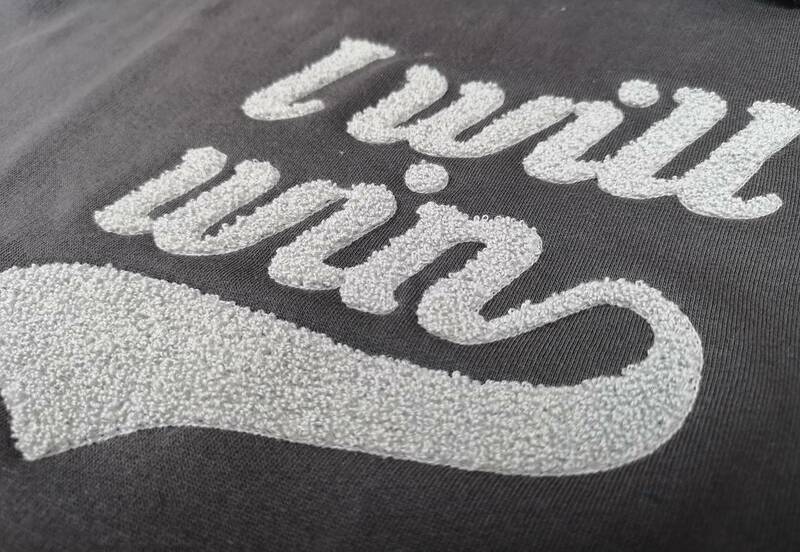 The main objective with the technique of relief or 3D is to highlight the embroidery of the garment to be sewn. 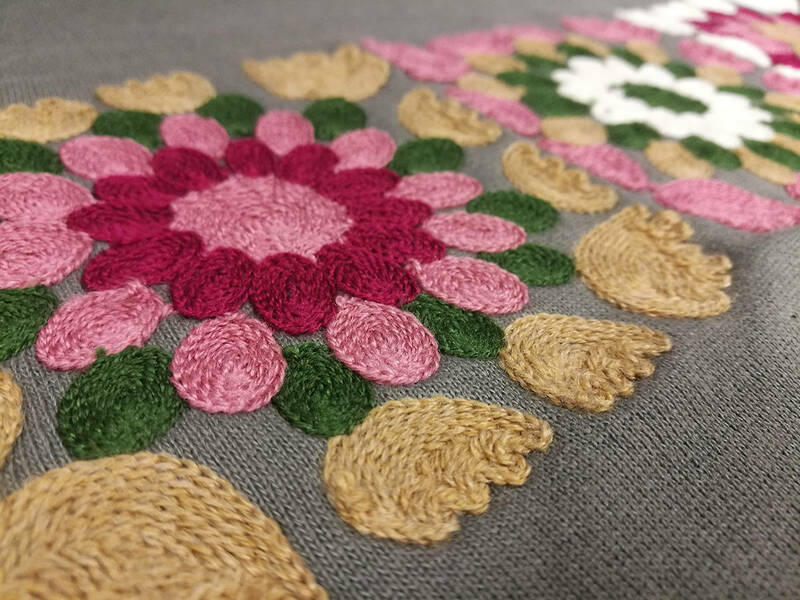 By using the appropriate parameters, it is possible to create a unique embroidery with more personality than conventional embroidery. This mode of embroidery can be mixed with the other techniques thus achieving exclusive designs. 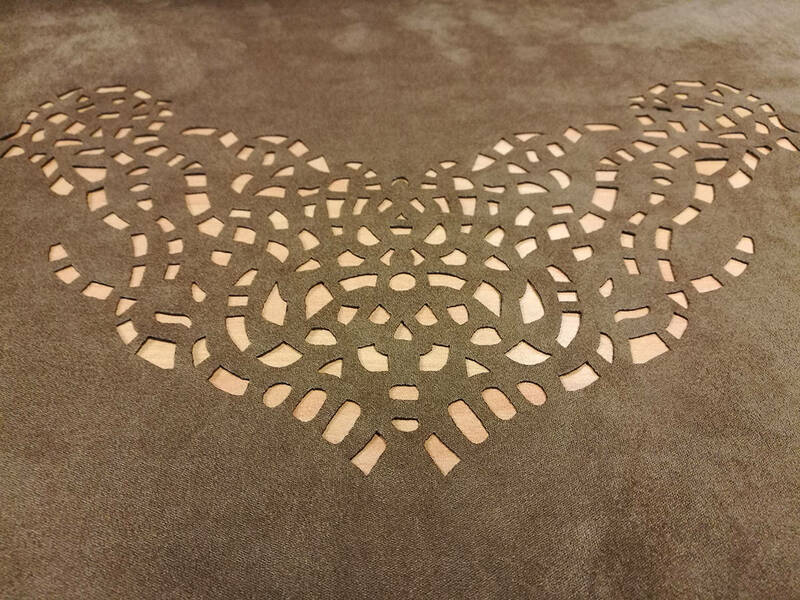 The die cut pieces are made ​​with fabrics which have been cut symmetrical patterns or shapes cut only with laser technique. These items are original, fresh and options can be varied. Even a punching time can be mixed with either another technique common embroidery, rhinestones, cornely, sequins, etc. and get excellent results.